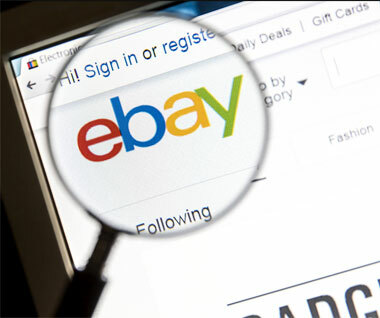 Ebay Powersellers: Are you risking everything by operating as a sole-proprietorship? You've worked hard to get where you are and you should be proud! You are one of the elite few that have taken on the challenge of being an eBay entrepreneur. You have overcome the obstacles and are on the road to success. Now you need to take it to the next level. By operating as a sole-proprietorship (or even worse, a general partnership) you are risking everything that you have worked so hard to build. While sole-proprietorships are easy and inexpensive to start up, they are like ticking time bombs... you might as well just hand over all of your assets on a silver platter. Being a sole-proprietor leaves your business and your personal assets open to lawsuits and creditors. Not just creditors from your business, but personal creditors. Most people don't realize that all it takes is one simple fender bender on the way to the supermarket and EVERYTHING YOU OWN IS GONE! Even a corporation cannot completely protect you... but a Limited-Liability Company or "LLC" can! An LLC offers two levels of liability protection: one that protects your business from you (your personal creditors), and one that protects you from the creditors of your business! You've no doubt encountered the customer who is hesitant about doing business on the internet. In this fraud-laden age, even the most tech savvy can be skittish about purchasing online. Having "LLC" after your name gives your business the extra credibility it needs to give your potential customers confidence. After all, when you purchase something on the internet, don't you feel better working with a business rather than an unknown individual who may be difficult to track down if things go awry? A noticeable increase in your sales will easily overshadow the nominal set up costs of your LLC. With a simple strategy using your LLC, you can save on those hefty federal self-employment and state-imposed taxes. Nevada and Wyoming are considered tax havens, and for good reason. These two states have ZERO taxes and you don't have to physically live there to use one! There is a reason why the rich get richer... let us walk you through the process of eliminating a lot of your unnecessary tax liabilities. What about the future? How are you going to take your business to the next level? You're an entrepreneur and the only glass ceiling that you face is the one you've placed above your head! Your opportunities are limitless and as you grow your business, you will also grow your business's worth. As an LLC, all of your assets, intellectual property, branding, eBay feedback and revenue will be wrapped up in a nice little package that you can raise financing for or even sell. Without your business being in an LLC, what are you going to do if you want to raise financing or bring on partners? You can't exactly sell off pieces of yourself when you need capital! With an LLC your future is secure, your sales are booming and your assets are protected... For small businesses, no other business type can compare! When set-up correctly, they can offer powerful tax breaks, customer confidence, a powerful shield against lawsuits and creditors, a credit history separate from your own, and transform your business into an asset you can sell when you're ready to retire! Form an LLC today and let us show you how to transfer your business into your LLC virtually overnight - all without losing your eBay ranking or feedback! It's time to take your eBay business to the next level!